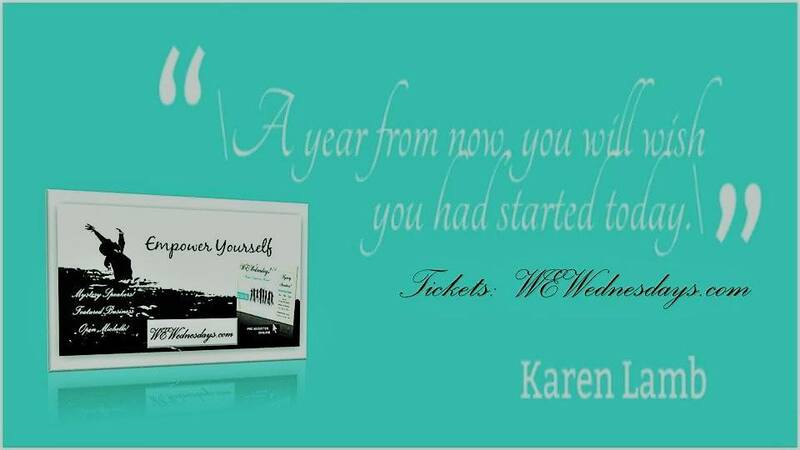 Today’s generation of youth, the largest in history, has the power to change the world. But many of the 600 million adolescent girls living in developing countries won’t even get to go to school. Girl Up is a founding partner of 10×10, a global action campaign that advocates for educating girls in developing countries. At the center of the 10×10 Campaign is Girl Rising – a feature film directed by Academy Award nominee Richard E. Robbins narrated by Meryl Streep, Anne Hathaway, Priyanka Chopra, and Kerry Washington, among others. on the eve of International Women’s Day. 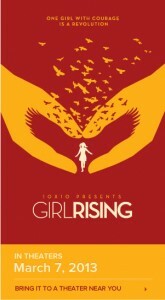 10×10 has partnered with Gathr Films to give you the power to bring Girl Rising to your local movie theater. Girl Rising will come to any community that “demands” it, as long as enough people reserve tickets online in advance to guarantee a screening. So call up all of your friends and family to see this incredible film and witness the power of girls around the world. With your help, we can use this film to start a revolution. Join Girl Up and 10×10 to request a screening and make a difference for girls everywhere. Because together we are stronger. P.S. 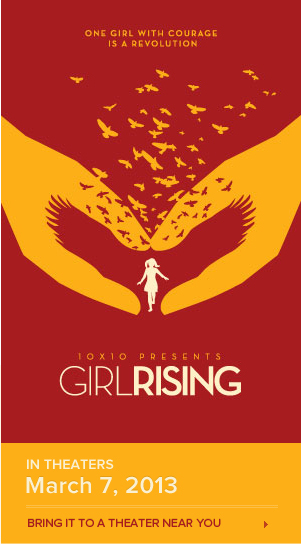 Are you a student interested in hosting a Girl Rising screening? Email Clubs@GirlUp.org for special instructions on bringing the film to your school.